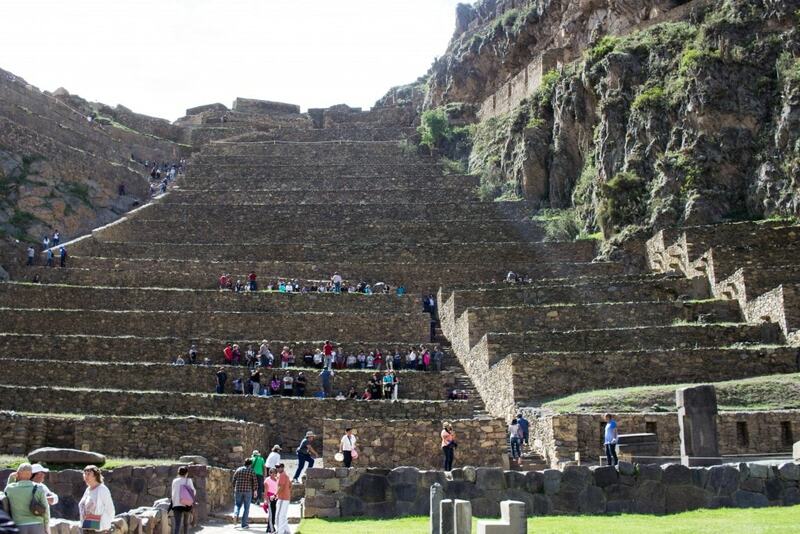 After we finished in Pisac, we drove another hour to Ollantaytambo and visited this town’s archaeological site. 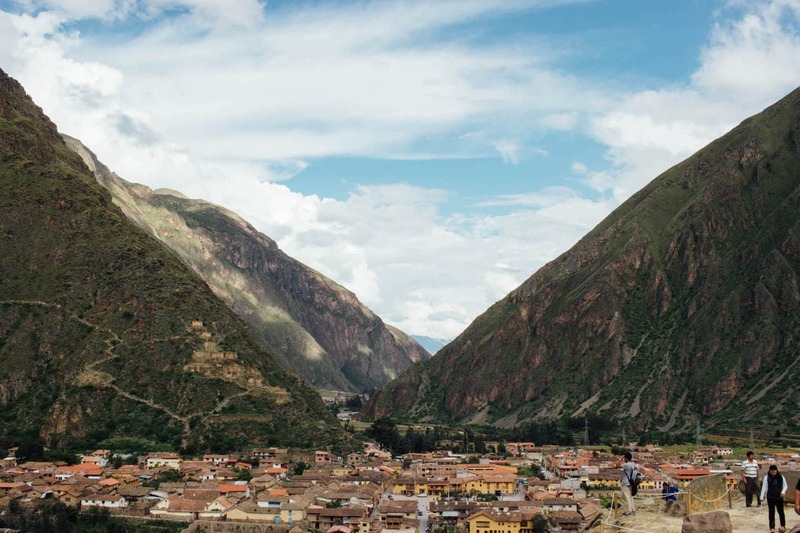 When we were pulling into Ollantaytambo, I fell in love with the village. 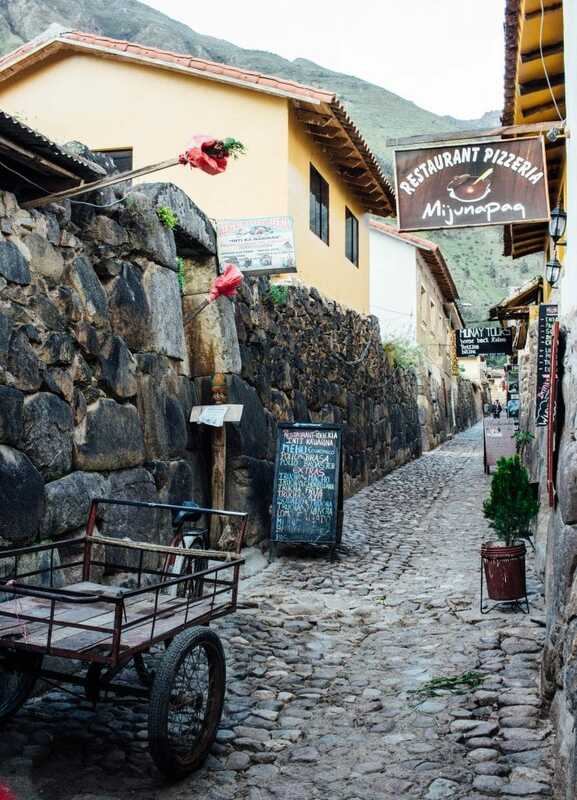 It feels as if you’ve gone back into time when you walk through the streets here. 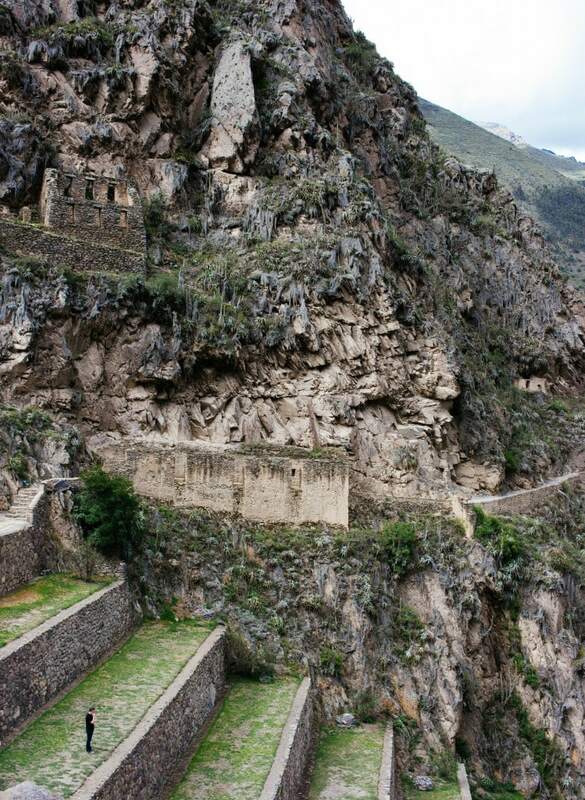 This is where the tour ended for us because we were catching a train to Aguas Calientes this afternoon. 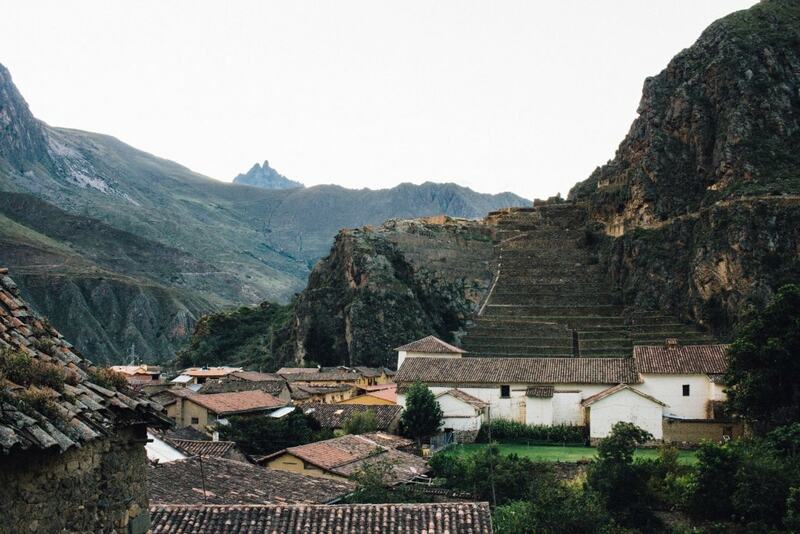 After we finished at the ruins, we said goodbye to our guide and had a few explore the town. 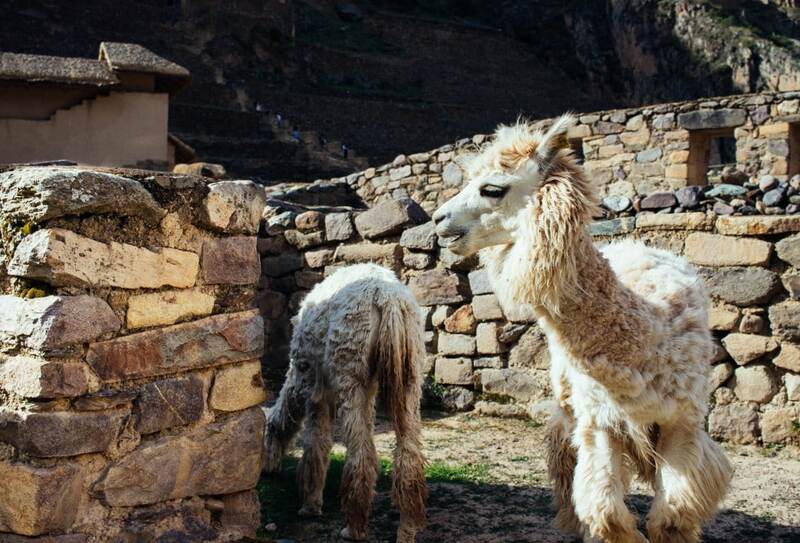 We chased wild llamas and people watched in the main square while drinking Cusquenas. We booked our train tickets several days ago but I just noticed that the email instructions stated we needed to present our reservation email at the train station four hours before departure time in order to keep our seat. We read the email too late and ended up arriving three hours before departure and sure enough, our tickets had been cancelled. I was a little freaked out. 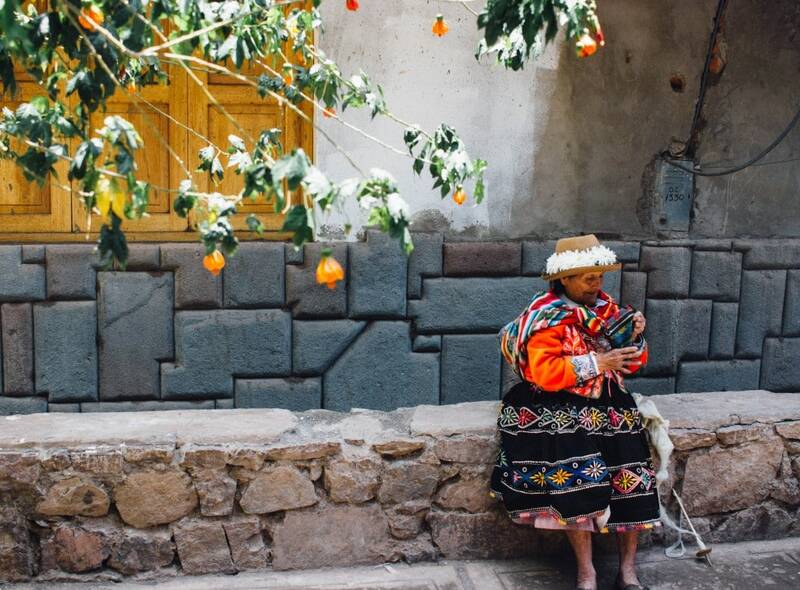 The reason we had to do Machu Picchu so late in our trip is because there were no available seats to Aguas Calientes prior to today. I thought we wouldn’t get to go to Machu Picchu at all. Luckily, she ended up getting us two tickets on the same train so everything ended up working out. 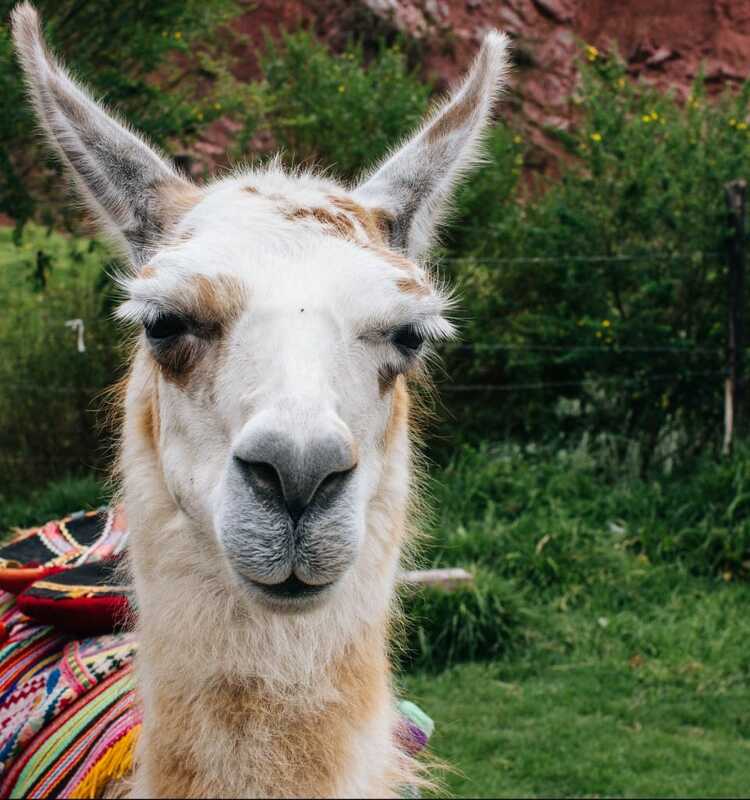 If you’re going to Machu Picchu, make sure to read all your emails carefully as the process is not entirely foolproof. 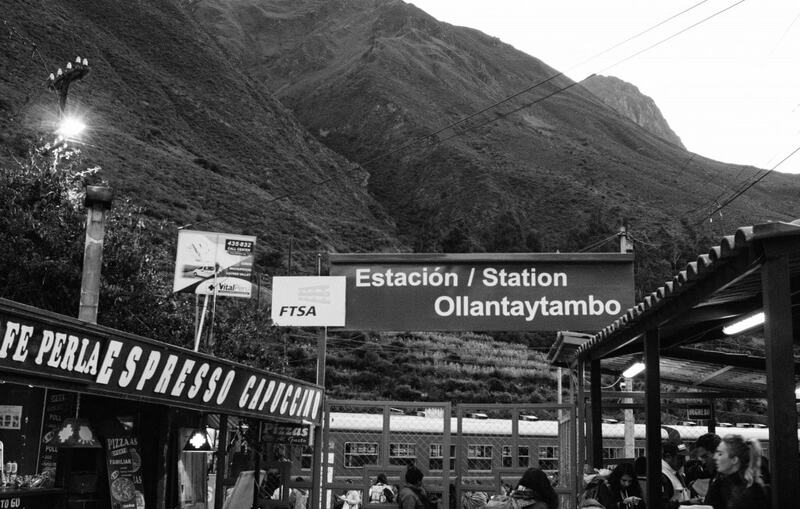 Trains leave all day from Ollantaytambo to Aguas Calientes but I highly recommend purchasing tickets in advance. We aren’t even here at peak season and the trains were full for days before our trip. 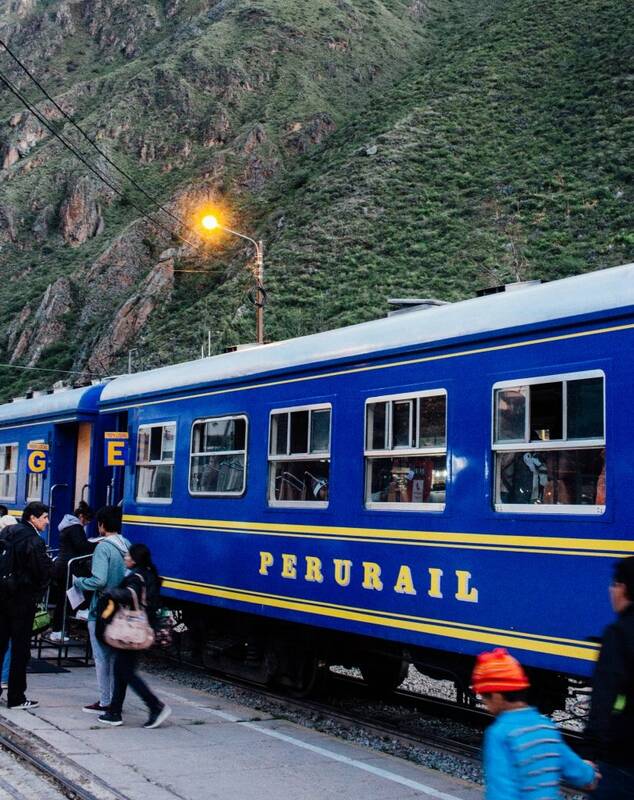 I bought our tickets online at PeruRail.com. The journey takes about 2 hours. At 7:00pm our train headed up to Aguas Calientes. It was pitch black when we arrived but we could hear a huge river outside our hotel room and we could see the vague shadow of a gigantic mountain directly above it. It was like Christmas Eve waiting until morning to see what we’d wake up to.